If you already have a cluster that you want to use, you can skip this step. For the exercises in this tutorial, you will use a four-node cluster. 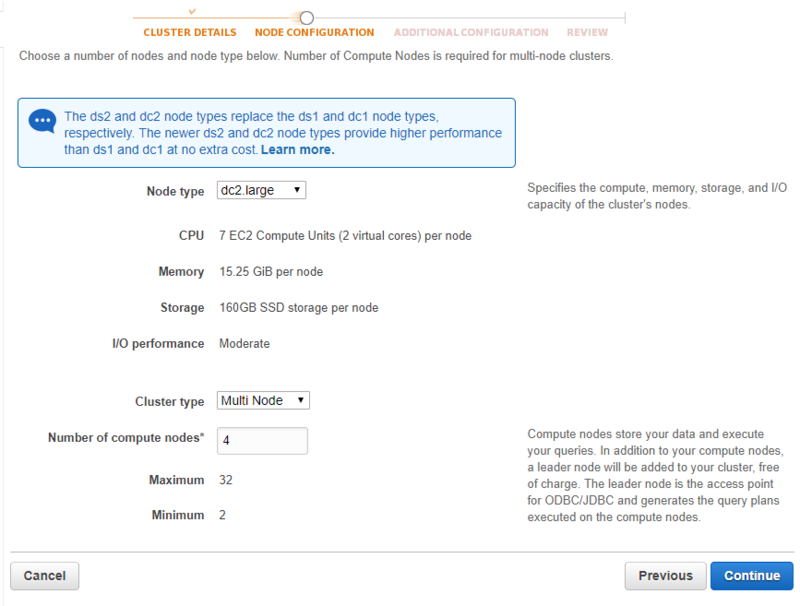 Follow the steps in Amazon Redshift Getting Started, but select Multi Node for Cluster Type and set Number of Compute Nodes to 4. Follow the Getting Started steps to connect to your cluster from a SQL client and test a connection. You do not need to complete the remaining Getting Started steps to create tables, upload data, and try example queries.